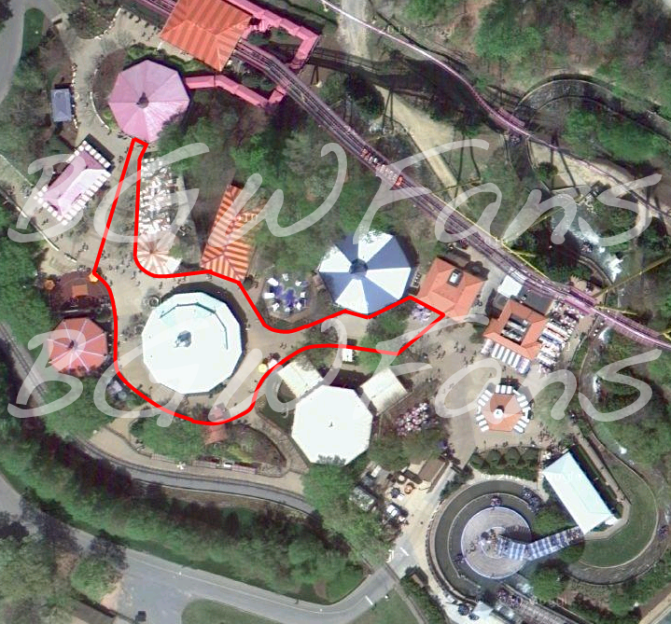 InSanity lurks Inside: BREAKING NEWS: Busch Gardens Williamsburg Expansion and New Attraction? UPDATE! BREAKING NEWS: Busch Gardens Williamsburg Expansion and New Attraction? UPDATE! Busch Gardens Williamsburg will Expand and build a New Attraction in 2015. Today BGWFans found permit proof that Busch Gardens Williamsburg will be expanding the Festa Italia area and adding in a new attraction. The permit states the attraction will have a height of 156 feet with an approximate total elevation height of 242 feet. They report this began almost two months ago when a "line of sight" test happened and lately lots of "ground marks" have been seen in the Festa Italia area. One member of BGWFans has even reported that soil tests have been taken from the area around Teatro di San Marco. 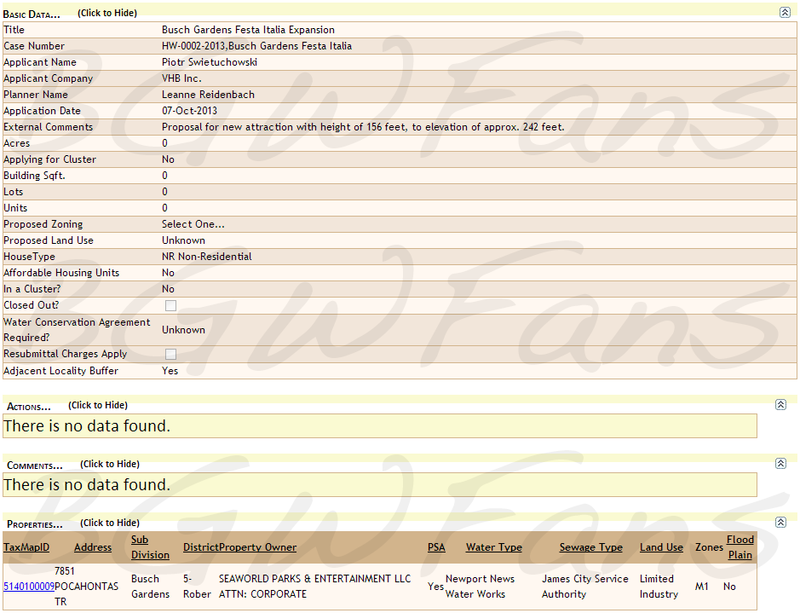 However, this dosn't exactly explain what the park has in the work for the area. Most of the 'ground marks' are found surrounding where the teacups currently are plus ranging back to the entrance area of Apollo's Chariot and upwards towards Roman Rapids. They believe this will put the highest area of the ride smack in the middle of the Clydesdale and Sheep paddocks which surround the area just outside of the Festa Italia train station. While no one is currently sure what this may mean. Could Festa Italia be getting a complete re-theme to their area? Are we seeing the ground work for a new roller coaster coming to Busch Gardens Williamsburg? We'll have to watch and see! Please visit BGWFans for a more detailed explanation about this breaking news from Busch Gardens Williamsburg! Because if something is going on, these are the people I look to for information! 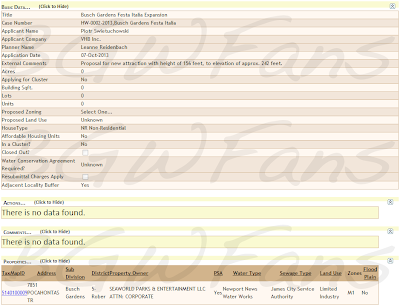 BGWFans has located the full permit submitted to James County for the Busch Gardens Expansion! Please visit their website to read the full letters and view the images attached with it, it's way to much for me to try and break down or explain here! Once they've gone through it and broken it down completely, we'll post of the findings! -Because really, I'm not good at translating these types of permits.